Want to be financially wise when it comes to your personal banking? Sign up to online banking to save yourself the time and hassle of trudging down to the bank or cash point whenever you want to see your statements. Online banking allows you any time access to your bank statements, and the ability to transfer cash, make payments, and set up or cancel direct debits and standing orders all at the click of a mouse. It's also the perfect budgeting tool, as ease of access allows you to keep on top of your finances and keep tabs on exactly where you're spending your money. Does your bank have a mobile banking app? 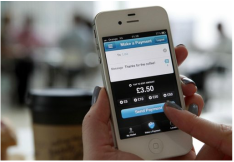 It's likely that if your bank has an online banking facility they'll also have an app to accompany it. Access your account on the move by downloading a mobile banking app to your smartphone, making your personal banking quicker and easier, and giving you a speedier way of keeping track of your spending. Pay attention to the details of your bank account. 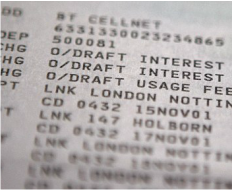 If you have a student bank account it is likely you'll have some access to a 0% interest overdraft, but this is not always the case. Make sure you get up to speed on the interest rates, fees and charges that apply to your account, particularly with regards unauthorised overdraft fees. Remember the golden rule: Communication is key!!! If you feel like you're in danger of exceeding your overdraft limit then it's vital you get in touch with the bank to let them know in advance, if possible. Although the bank is not your friend, they can look favourably on you if you let them know ahead of exceeding your limit. In some cases it may even be possible to agree a cap on late fees and charges, provided you offer the bank a date in the near future by which you can clear the debt (e.g. your next pay day). Monitor your account daily. This allows you to gauge a realistic assessment of your expenditure. Be aware of your spending and any outgoings due, such as direct debits and standing orders, and ensure you don't venture into unauthorised overdraft territory (see opposite). Checking your bank account regularly will also allow you to be vigilant and mindful of any fraudulent activity. It's important to remember that if ever you don't recognise a payment that has been debited from your account you must ALWAYS get in touch with the bank to query it. Never give out your account or debit card details online unless you're 100% sure the website is secure. Using a card to pay for purchases online can put you at risk of card fraud. Remember that you should never be asked to enter your PIN number or online banking ID/ password when making an online purchase. If a website is asking you for these details then do not proceed with the purchase. Look for an 'https' in the URL address & a padlock icon (the 's' stands for 'secure'). 'How to shop safely & securely online' page. Want some free cash? If you're a savvy saver then consider putting away some of your savings into a savings account. Not only is it a great idea to have some rainy day savings, you'll also benefit from decent interest rates. Gone are the days when earning decent interest meant locking away your money in a bond or ISA for a fixed term - many banks now offer current accounts where you can earn interest simply by paying your bills and direct debits monthly. The main principle of a savings account is that it should be separate from your usual account - that way you're not tempted to dip into it on a daily basis. A savings account can be a brilliant budgeting tool as it allows you to separate your cash, and could even come in handy as an emergency fund if your student loan is delayed. Depending on how good you are at budgeting and managing your money you may wish to have your student loan paid into a savings account, and drip feed yourself a weekly amount via direct debit.